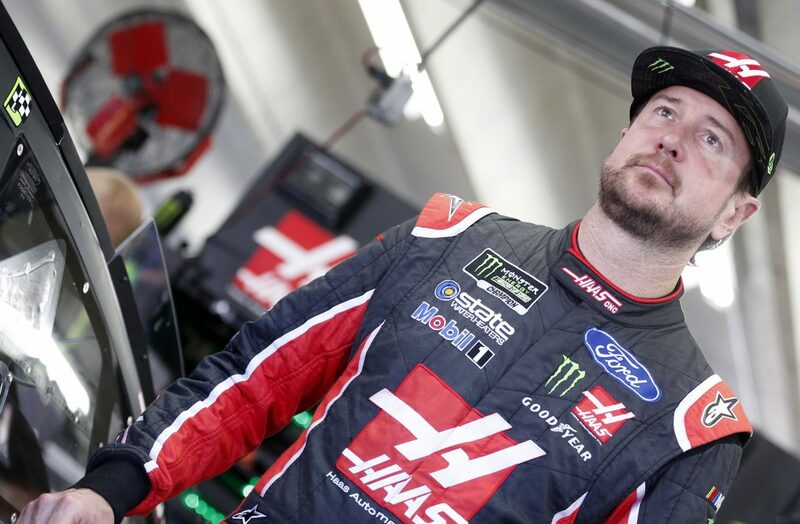 Kurt Busch started 12th, finished ninth. Battled a tight-handling condition on corner exit. With his ninth-place finish in Stage 1, Busch earned two bonus points. Visited pit road at the end of Stage 1 to take four tires, fuel and air pressure and wedge adjustments. As the sun began to set, Busch struggled with a loose-handling condition. Was running seventh when inclement weather forced NASCAR to red flag the race. Pitted when the race restarted for four tires, fuel and air pressure and wedge adjustments. With his fifth-place finish in Stage 2, Busch earned five bonus points. Visited pit road at the end of Stage 2 to take four tires, fuel and air pressure adjustments. Battled a loose-handling condition on entry and was tight off the corners for much of the stage. Visited pit road on lap 294 to take four tires, fuel and air pressure adjustments. With his sixth-place finish in Stage 3, Busch earned four bonus points. Struggled with a tight-handling condition on the short run and a loose-handling condition on the long run. Was credited with leading a lap during a cycle of green-flag pit stops on lap 368. Finished sixth to earn his sixth top-10 finish of the 2017 season. Busch’s sixth-place finish was his fourth top-10 in his last six races and his 12th top-10 in 34 career Monster Energy NASCAR Cup Series starts at Charlotte. Busch led once for one lap. Busch earned points in each stage of the race, marking the first time this season he has done so. The next event on the Monster Energy NASCAR Cup Series schedule is the AAA 400 Drive for Autism on Sunday, June 4 at Dover (Del.) International Speedway. The race starts at 1 p.m. EDT with live coverage provided by FS1.